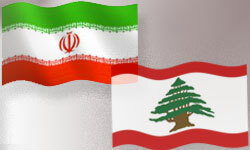 TEHRAN (FNA)- Iranian Foreign Minister Manouchehr Mottaki has stressed on dialogue to solve problems and said his country was “expecting a lot” from Lebanese President Michel Suleiman’s visit to Tehran next Monday. “We are expecting a lot from this visit and from future relations with Lebanon,” Mottaki told As Safir daily in remarks published Friday. He stressed the need to fully implement the Doha Accord, adding that the agreement’s third clause which deals with the 2009 parliamentary elections in Lebanon interests his country. Tehran “believes that the Lebanese should solve their problems through sincere dialogue and without resorting to arms which will lead to the defeat of everyone,” Mottaki told the newspaper. “That’s why we urge the Lebanese to abide by the (Doha) Accord and we stress the importance of holding onto the political process to solve all problems,” the foreign minister said. He said stability in Lebanon is a key to stability in the entire region.